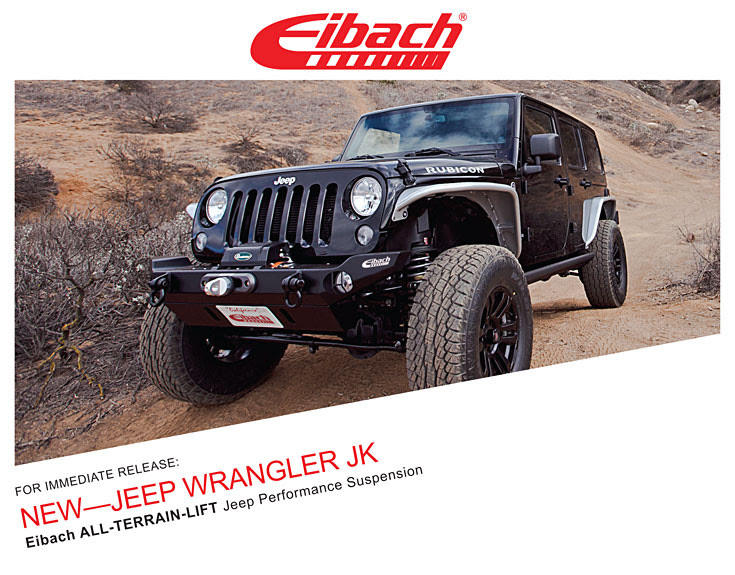 Eibach has captured countless victories in some of the greatest off-road races in the world. Take that same race-winning technology, combine it with Eibach’s legendary suspension tuning and enter: the ALL-TERRAIN-LIFT. Built to withstand anything you can throw at it, the ALL-TERRAIN-LIFT is the perfect balance of off-road performance with on-road stability and ride quality. 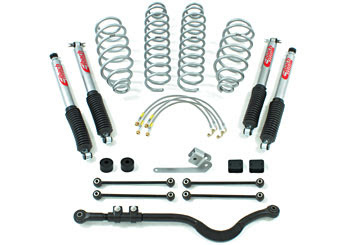 The Eibach ALL-TERRAIN-LIFT Kit comes complete with everything needed for installation, Including: Eibach ALL-TERRAIN-LIFT Springs, Shocks, Bumpstop Spacers, Adjustable Endlinks, Adjustable Front/Rear Track Bars, Location Brackets and Stainless-Steel Brake Lines—backed with Eibach’s Million-Mile Spring Warranty, Two-Year Shock Warranty and Made in the U.S.A.